Since its development, we have sold more than 500 our lip coaters, which have been well received on the global market. In lip coating, the resin weight calculated based on the numerically input coating conditions is fed to the lip head. These conditions are controlled by the lip coater specialized L301 controller, which can be used to remotely adjust the lip head coating gap using a key control. The lip head has a mechanism that allows the lip to be bent on the left and right sides, as well as the middle, which allows for free width direction resin profile control. An optional unit allows for a thickness meter to be linked to the L301 controller to feed back the actual coating thickness. 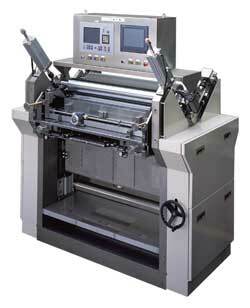 This function and numerical control allow for automated operation of the coater line. By using the lip coater in applications that require a high level of skill, it is possible to easily realize high-precision coating by simply mastering the key operation. A “sealed” coating system that reduces solvent vaporization between the supply system and coating head is an essential criterion for consistently delivering high-quality coating. HIRANO TECSEED offers multiple “Die Coating Methods” adjusted to various coating film thicknesses, resin properties, and substrate characteristics to do just this. 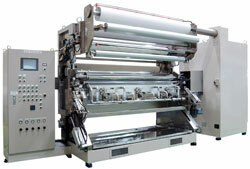 Of these, the “DV Coater” is especially suited to ultra-thin-film coating. 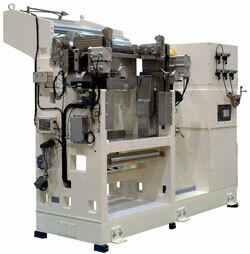 With shear coating methods, typified by lip coating, the “coating gap” formed between the die lip and the backup roller plays an important role in film forming. With recent ultra-thin-film coatings of less than 10 μm (wet), the influence of machine precision can have a significant negative impact on film thickness profiles in shear coating methods, even if the roller runout is only 1 μm. With the DV Coater, which allows for coating using a coating gap that is more than 10 times the wet coating thickness, it is possible to achieve high-precision coating that exceeds the machine precision. Moreover, This coating method can handle a high range of coating thicknesses and viscosities, as well as resin coating where high-shear is a problem in units that come in contact with the coating fluid. (2) Coating Gap (between slot die and substrate): because the coating system coats with a gap that is several times to several tens of times the coating thickness (wet), coating is not subject to disturbance on the coating surface from substrate thickness variation, contaminants, and dust, etc. The “Supply Type Doctor Blade Gravure Coater” is based on our gravure coating technology and reduced problems with open-type systems. This machine uses a semi-sealed system that reduces solvent vaporization, which reduces changes in coating fluid viscosity and concentration and allowing for stable coating. Chamber type machines, in particular, reduce the generation of foam resulting from high-speed coating to achieve a consistent coating film. In addition, opening the chamber doctor eases the cleaning of the chamber and maintenance of the doctor blade. Silicone coatings, adhesive coatings, inks, anchor coatings, etc. Developed based on our experience and technology accumulated through large-scale production machines, the Multicoated Series is a small, continuous coating machine. It is designed to evaluate coatings and products using a variety of coating methods, but also has a small-scale production function aimed at scaling up production to production machines, short-run production, and prototype production, for which it has been highly accepted. This series has already received several hundred orders since its development, but we also offer customized models to meet customer needs. 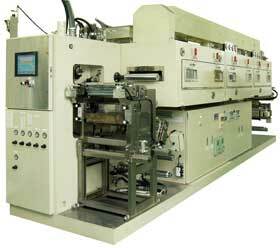 Moreover, the coating unit is designed to be modular so that it can handle all coating methods. In fact, we have installed a Multicoater with this mechanism in our Technical test facility. In this way, we offer this machine as a development and production line for high-precision, high-value oriented products. The quality of a coating product requires high-quality coating resulting from a high-precision coating head. At the same time, quality also relies on the stability and efficiency of the curing process, in other words the post-coating drying process. For this reason, we consider the drying process critical to the determination of coating quality. Therefore, in aiming for higher quality, it is necessary to appropriately select the drying system functions and methods. Based on the “heat and air” technology we have accumulated since our founding, we offer different drying technologies, including roll-supported and floating dryers, of which we have sold many units. 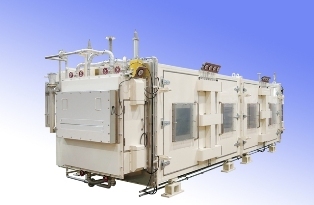 Moreover, a clean environment has become an essential factor in drying high-quality coating products, so by thoroughly controlling the drying environment, we have aimed to improve the performance of our clean dryers, which have been well accepted in various industries. 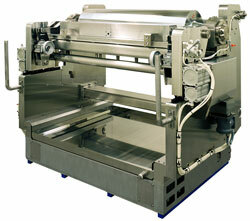 We also manufacture inert drying units for when drying under low oxygen conditions is required. We hope you make use of these.